USA, CANADA, REST OF WORLD, EXCEPT EUROPE, AUSTRALASIA, JAPAN, CHINA, FAR EAST. 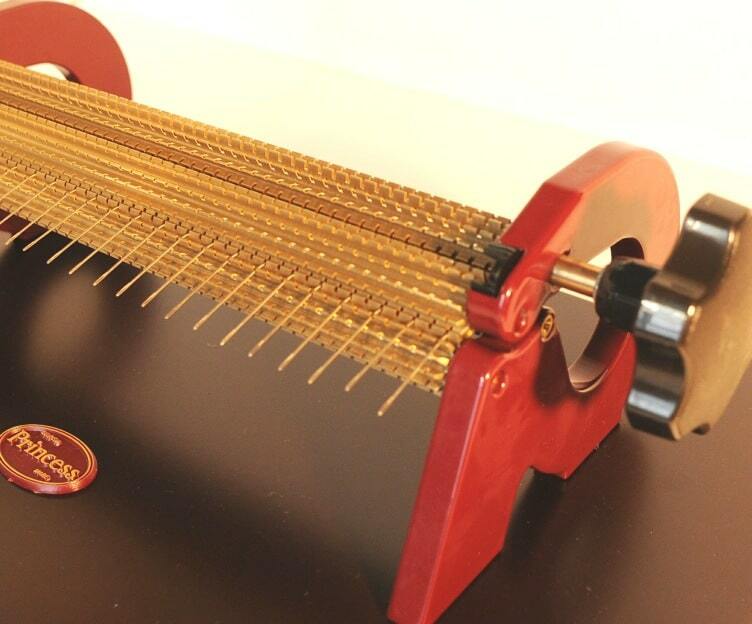 The Princess Pleater has 24 rows with 47 half-spaced needle grooves along the 23.7cm wide brass rollers. 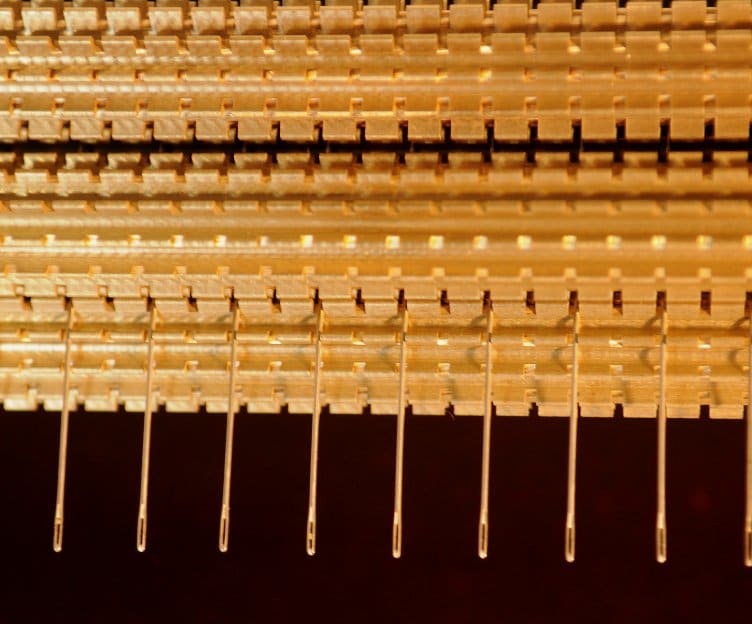 Standard spacing per needle is 1.0cm, or for finer smocking using half-spaced needles, 0.5cm. The machine includes 24 needles fitted. The pleater base is varnished dense wooden fibre board. The side plates are solid aluminium. And solid brass is used for the rollers.